In 2008 an $18.1 million Ohio Research Scholars award in advanced materials from the Ohio Department of Development was announced, creating a university coalition consisting of The Ohio State University, the University of Akron and the University of Dayton. Five endowed chairs with the title of Ohio Research Scholar – three at OSU and one each at the University of Akron and the University of Dayton – were established. The goal of this program, entitled Technology-Enabling and Emergent Materials, is to pioneer revolutionary approaches to accelerate the development of materials for technological impact, by evaluating emergent materials at an early stage through the application of advanced characterization and predictive modeling. By targeting the Scholars positions toward advanced microscopy, including applications toward biomaterials, chemical synthesis from bio-based sources, and scalable processing based on nanostructure-enhanced composite and also bio-based materials, this unique cluster aims to build upon and coordinate strategic strengths existing at the partnered universities in areas of international impact. A prime area of focus is the exploration and development of innovative materials that possess tailored functionalities and are derived from nontraditional (including bio-based) sources, with the state’s universities and industries being the prime beneficiaries. The Scholars positions at OSU have been awarded to the Department of Materials Science and Engineering and the Department of Chemistry. A third Scholar position was developed within the College of Food, Agricultural and Environmental Science (FAES), thanks to the unprecedented collaboration between the Deans of Engineering, Natural and Mathematical Sciences and FAES in conjunction with IMR. The three OSU positions are: (a) nanoscale materials microscopist, (b) molecular chemist, and (c) molecular biochemist. Dr. Cornish is an expert in alternative natural rubber production, properties and products, and on natural rubber biosynthesis in general. Her research focuses on bioemergent materials including exploitation of opportunity feedstocks from agriculture and food processing wastes for value-added products and biofuels. She joined OSU in July 2010, leading a multidisciplinary team in the creation of innovative industrial materials from plant-based sources and associated biological, chemical and physical processes and she trains new scientists and engineers for the emerging global bio-based economy. Dr. Cornish holds joint appointments with the Department of Horticulture and Crop Science and the Department of Food, Agricultural and Biological Engineering. She is based on the Wooster campus of the Ohio Agricultural Research and Development Center (OARDC) – which is the research arm of CFAES and the largest university agricultural bioscience research facility in the United States. Dr. McComb’s research concentrates on the development and application of nanoanalytical electron microscopy techniques for the study of chemistry, structure and bonding at the interfaces of atoms. His work also includes the synthesis of novel, multifunctional three-dimensionally ordered solids. Since joining OSU in October 2011 from Imperial College London, Dr. McComb has established OSU’s Center for Electron Microscopy and Analysis (CEMAS), a major materials research facility with the highest concentration of high-end micropes in North America. 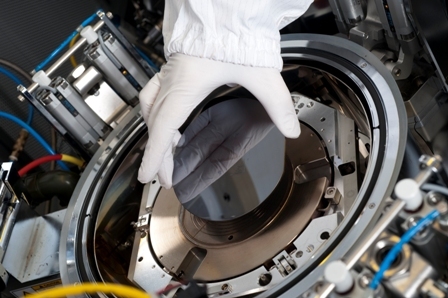 CEMAS is a hub for business and academia materials characterization and home to $28 million of equipment, including 10 FEI electron microscopes, two X-ray diffractometer systems, facilities for nanoindentation, and an extensive array of sample preparation facilities. instrumentation in North America. McComb also serves as an IMR Associate Director, a key leadership position within the IMR where he contributes to institute’s strategic planning and operations. Dr. Brüschweiler’s research is highly cross-disciplinary in the area of biophysical chemistry as well as analytical chemistry, focusing on the understanding of the role of dynamics and thermodynamics of proteins properties for their function and on the analysis of complex biological mixtures in the context of metabolomics. The main research tools are high-field nuclear magnetic resonance (NMR) and high-performance computation, which includes the development of new and improved techniques. Since joining OSU in September 2013 from Florida State University, he has established the NMR Laboratory, a nuclear magnetic resonance imaging center set to open October 2015. The NMR is a state-of-the-art, campus-wide core facility that houses eight high resolution Bruker NMR spectrometers (600 to 850 MHz) with a range capabilities: high-sensitivity cryoprobes for biomolecular studies, high throughput sample changers for metabolomics, solid state probes for biomolecules and materials, micro-imaging and diffusion. 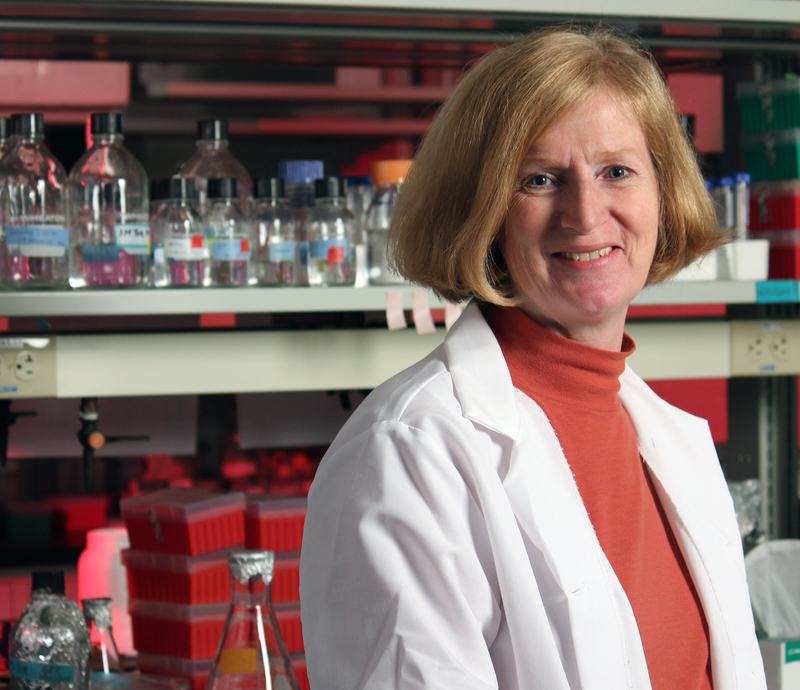 Dr. Brüschweiler holds joint appointments in the Department of Chemistry and Biochemistry and the College of Medicine. Dr. Nita Sahai joined the University of Akron during Fall 2011 as an Ohio Research Scholar and Professor of Polymer Science within the College of Polymer Science and Polymer Engineering. Dr. Sahai is an expert on biomolecule and cell interactions at mineral surfaces, environmental geochemistry, biomineralization, and biomaterials. Dr. Sahai’s research falls within the field of interfacial biogeochemistry, which includes medical mineralogy and biomineralization, bioceramics, and environmental geochemistry. Specific research projects she and her group work on include the self-assembly of phospholipids as model cell membranes at mineral surfaces, cell adhesion to mineral surfaces, protein-mediated biomineralization of calcite, silica and apatite, bone growth on silicate bioceramic prosthetic implants, and biomimetic silica synthesis. Sahai was previously at the University of Wisconsin-Madison, where she was a professor of geochemistry in the Materials Science and Environmental Chemistry and Technology programs. As a University of Wisconsin member of the NASA Astrobiology Program, her research was also involved in understanding biomineral morphologies as potential biosignatures on Mars.